Car APIs: Why Every Car Needs An API? There is already a public API for that (VIN decoder). Right from the model number of a vehicle and its year of make, to the manufacturer contact details and registration number – everything becomes easily accessible for the car owner, with the help of a custom-built API. What’s more, since these data are likely to be fetched from police databases (or from the concerned automobile company itself), there is no cloud over the reliability of the information. With an interface like this, pulling out any specific manufacturer related data becomes a breeze. One of the most basic (and also, most important) remote functions that can be performed by a car API. With an iPhone/Android app powered by this type of API, a driver can activate central locking in his/her car, as well as unlock the car’s doors, whenever required. Obviously, the user has to be wary of probable security issues - and perform the door lock/unlock ONLY when (s)he can actually see the car. API providers also have to make sure that the software cannot be hacked into. A car-owner might require certain dealership information at any time…at the time of routine maintenance, or estimating the resale price (from the dealer). Mobile app developers can display such information on an application, by using an API that can fetch the required data quickly and reliably. Apart from the name of the dealer and the price information, the car-owner can also check out other cars available for sale (by the same dealer). Reviews and ratings on a particular car model can also be viewed. Note: For keeping track of the pricing of a car on a real-time basis, there already exist APIs (by Edmunds.com). How about being able to check the statistics of all the trips taken by your car – on a single screen? A customized mobile app can indeed deliver such stats, once again with the help of APIs built for this purpose. In addition, an API can also call and fetch all the places (destinations) that a car has been driven to till date. To gauge the performance of a vehicle over time, these metrics are extremely important – and with car APIs, they are literally available at the fingertips of car owners. That’s right, a mobile app with an information-rich backend can help individuals arrive at more informed vehicle-purchase decisions as well. There are some public APIs already available, that allow people to browse through the latest cars from multiple manufacturers (along with their respective specs) – facilitating easy comparison. Car accessories can be compared as well, and buyers can glance through the user-reviews that the competing car models have garnered. Based on all this, the concerned app can ensure a smoother car-purchase experience for the user. There is no dearth of mobile navigation apps, backed up (in most cases) by the Google Maps API. On-demand cab apps also work with the Maps API. Over the next few years, car APIs is likely to be used as powerful marketing/promotional tools as well. With the help of an API, the route of any vehicle can be accessed instantly – and advertisements of businesses along that route can be easily made visible to the driver (on the navigation app (s)he is using). There is an opportunity for monetizing the APIs that show information on nearby hotels and restaurants as well. It’s only a matter of time before businesses identify car APIs as a dynamic marketing channel and start using it. This is yet another thing where custom-built REST APIs can help car app-makers in a big way. What’s more – the technology has ample scopes of improvement as well, since most similar interfaces currently available can set the temperature to the last value fixed by the user (and not automatically to any other specific value). The API will help the car to ‘learn’ the preferred in-vehicle temperatures, and adjust accordingly. Note: The heating/cooling systems of a car, as well as its controls, can become remotely adjustable with APIs, to maintain the optimal climate control settings. Tapping on a phone while driving is neither safe, nor convenient. A considerable amount of research is already going on, for coming up with car APIs that will let drivers type out texts, talk on their phone, and even access their social media profiles – all with the help of voice commands. For the best performance, the speech recognition feature of the app has to be really good too. Comments, reviews and opinions about a car can also be published real-time (while driving) with a dedicated API. For automobile companies, there are marketing opportunities as well. In a nutshell, car APIs open the lid from the huge stack of information contained within a vehicle. For instance, if a smart car is running low on gas, the local fuel stations can be automatically alerted. Car insurance companies can access pertinent data on the general driving behaviour of users. Vehicle servicing agencies are notified as soon as the API detects that a car requires some maintenance/repair. It shouldn’t be long before we see all of these information (and probably much more!) being delivered by APIs on a regular basis. 10Capturing fuel performance data – With a question mark hanging over the fuel efficiency claims by most leading auto manufacturers, a third-party mobile app – supported by a car API – can be just the right type of vehicle performance indicator. Apart from driving stats and real-time tracking (and summary) of fuel consumption, the API platform can also display accurate fuel expenses, tabulated periodically. If required, driving routes can also be fetched. Driving Chassis API is a classic example of interfaces that can do these tasks. The enhancements in performance efficiency that a car API can bring about are not limited to fuel-related data only. On a connected car platform, developers can set commands that would allow apps to schedule the ‘peak charging’ and the ‘off-peak/non charging’ times. Charging during an ‘off-peak setting’ is also possible on a customized interface. Also, a car API can used to switch on the headlights of a vehicle from the inside, or remotely. The duration for which the headlight remains switched on (in seconds) can be set as well. For establishing an interconnected smart car ecosystem, the role of car APIs is immense. An optimally designed connected car platform can integrate different types of in-car systems – from entertainment systems and car radios, to in-car safety tools, navigation guides and warnings (say, when another vehicle is very close) – in a manner that makes driving a safer, easier, and a more holistic experience than ever before. APIs that can perform such integration deliver value to the car-owner as well as the automobile manufacturers (by raising the overall car value). Mobile app developers have every reason to be excited about the powerful features and controls that they can add to their applications with the help of public car APIs. All of the above tasks, and a lot more, can be performed with mobile app(s) – making things ‘smarter’ than ever for the individual car-owners. By the time 2020 rolls in, the total number of ‘connected cars’ will be in excess of 380 million – and most of them will be powered by car APIs, that’s for sure. An approach like ‘everyone is making apps, so let us make one too’ won’t work. You need to have a sound, workable idea – that can actually be transformed into a piece of software. In order to ensure the practical utility of your app, try to think of common problems (and worry not, there are plenty of problems everywhere!) that a new mobile application might be able to solve. Form a clear concept about the core function of the app, and the target audience it is going to serve. All innovations are made to solve one problem or another, and a mobile app should not be an exception. Clarity of thought will help in the creation of the application later. Note: Keep in mind that, a mobile app that helps users to while away their spare time is also of value. In fact, that is precisely the logic behind the creation of mobile games. With so many apps – belonging to so many categories – already in existence, it’s tricky (next to impossible!) to stumble upon an entirely unique app idea. Instead of trying to design a concept that would be too novel for its own good, check all the apps that belong to the same/similar genre that you are interested in. Find out what the highest grossing apps are doing well, and how your app can be an improvement over them. In addition, perform a demand analysis for your software separately. Jot down all the keywords closely related to your app, put them on any reliable online keyword research tool (e.g., Google Keyword Planner), and find out what their average search volumes are. Unless your app idea belongs to a category that has sufficient demand, developing it won’t be worth the resources. Note: Examine the failed applications – the so-called ‘zombie apps’ – very carefully. Find out the reasons behind their failures, and don’t repeat those mistakes. Put yourself in the shoes of the prospective users of your app, and try to decipher their behaviour flow (user flow research) and overall in-app navigation. Draw up (and yes, rough sketches will do) the screens you would like to have, sequentially…in the manner the users would be likely to move through them. In the wireframe, include all the features that you wish to include in your app. Make sure that there is a logical flow from each screen to the next one. Once the low-fidelity wireframes are ready, create a mockup (i.e., a high-fidelity visual representation) of your application. Drawing a flow-chart will help you understand the overall function-flow of your application. Note: The importance of storyboarding in this context cannot be overemphasized. Professional mobile app developers typically use the storyboarding technique to get a proper feel of how the different app screens will be connected to each other. Feature mining is one of the most important tasks, during the conceptualization stage of a new iOS/Android application. Resist the temptation of including as many features and functionalities as possible in the app – which would only end up confusing users. Draw up two lists – of the ‘must-have’ and the ‘nice-to-have’ features – and include only the former in the introductory version of an application. Your app should have one core purpose, and one feature to fulfill that purpose. Additional features can be included in subsequent updates. Note: As a rule of thumb, make sure that your users do not have to tap more than 3 times, to reach the section/screen they are interested in. Balancing between cost, time and quality of the app is a challenging task – one that you have to handle very, very carefully. Think of these three aspects (quality, budget, time) as the three vertices of a triangle. For instance, if you wish your application to be of optimal quality, be prepared to invest the necessary amount of time and money for it. Never compromise on the quality of an application, in a bid to save a few dollars. A sub-standard app will never gain popularity among users, there will be negative reviews and ratings, and the application will soon be lost in the crowd. Note: There is a popular adage in the mobile app development community, that developers/coders are generally not good designers (and vice versa). If you are coding for a new app on your own, do not try to design it yourself. Hire indie designers/professional app designers for the purpose. Brilliant app ideas and high-level coding can all go to waste, if the application is visually sub-par. Remember that software designing is not only about how the app will ‘look’, but it also includes how the technology ‘functions’…what type of end user-experience (UX) it manages to deliver. Use the wireframes you had drawn up earlier, and get high-resolution versions of the same designed (preferably by an expert graphic designer). Create the layouts of each screen (also known as ‘skins’) very carefully, and always give prime consideration to the convenience of final users. Every tappable element should be properly designed, the main tabs/sections should be easily visible, and the overall in-app navigation must be user-friendly. A mobile app that ‘seems’ complicated is almost certain to be discarded. Note: Do not make your splash screens completely static. That might easily create the impression among users that the app is slow to load and/or there are some issues with it. Add some basic animations, or a progress bar, to indicate that the app is getting ready to be used. There are plenty of powerful cross-platform mobile app development tools (for instance, React Native or Xamarin) currently available. However, new developers should certainly start off by building native applications first. In addition, it is also advisable to create customized versions of the app for different devices (phone, tablet, web…maybe even smartwatch and smart TV). That would allow users to enjoy the app’s functionality across devices – a feature that is often sought after by people. Note: The iOS vs Android dilemma is one you need to think out carefully. The potential revenue capacities of iOS apps are significantly higher – but if you are looking to give maximum possible exposure to your software, Android will be the more suitable platform. How many people have downloaded your app? What is the app’s average engagement level and what is the behaviour-flow of users while using the application? These are issues that you need to monitor on a continuous basis – and for that, implementing a reliable analytics system is of paramount importance. These metrics can also indicate the scopes of improvement in the application (that you can fix in later updates). What’s more, your app has to be monetized – either with advertisements or with in-app purchases (IAP). In case you are planning to launch a paid app, do all the essential research to find out what the ‘correct app price’ would be. Note: Ideally, the free version of an app has in-app ads. Users should be given the option to migrate to the ad-free premium version, by making a certain payment. Even in the free version, make sure that the ads are positioned in a way that they do not hamper the app-experience. That’s where application program interfaces (APIs) come into the picture. You can either create your own APIs, or use the custom APIs already available – depending on the requirements of your application. Efficient APIs facilitate smooth cloud-connectivity of an application – and allow apps to fetch important information, as and when required (e.g., Uber fetching the location of users with Google Maps API). In most cases, instead of spending time on creating a custom backend, app makers prefer deploying a mobile backend-as-a-service (mBaaS) architecture. Proper utilization of APIs add a lot of efficiency to a mobile app. Note: While working with APIs, you should prepare a systematic API documentation. That would help in avoiding confusions at a later stage during development. App testing is an iterative process – it has to be done at several successive stages. Such an approach helps in identifying bugs and code mistakes quickly – problems which would have been tough to detect during the time of final testing. In addition to the simulators/emulators available in the iOS and Android integrated development environments (IDEs) respectively, apps also have to be tested on actual devices, by real people. Pay attention to all the feedback and suggestions you receive, and make the necessary changes accordingly. Only after thorough testing and removal of all bugs (if any) can your app be considered ready for submission at the stores. Never be in a tearing hurry to release your product, compromising the testing phase in the process. Leading mobile app developers opine in favour of adopting a grid-based design approach for new applications. You should ideally divide the entire mobile app development project into several separate milestones. If you feel that you do not have the time and/or the technical expertise to build the app – avail the services of any good mobile app company. Making a great app is no rocket science, you only have to follow the above tips and be smart about the whole process. Apps That ‘Speak’: Mobile Voice Technology To Replace Typing? Typing on a mobile phone – no matter how good a touchscreen keyboard is – takes time. There is the small matter of keyboards hogging a section of the screen real estate as well. Speech-based software offers a way out of this problem. A recent research experiment revealed that, voice-based typing was around 3x times quicker than typing on keyboard (the experiment involved typing 100-odd common English phrases). Even for Mandarin Chinese, voice commands were found to be nearly 2.7 times faster than traditional typing. What’s more – the voice typing was found to be more accurate than using keyboards (20% more accurate for English; a whopping 63% more accurate for Mandarin Chinese). Clearly, for faster and more accurate typing – mobile voice technology is the way to go. Note: The speech recognition software from Baidu was used for this experiment. Apart from being quicker, speech recognition technology saves time for users in yet another way. Over the next couple of years or so, people will make a definite move towards using voice technology for interacting with applications that require user inputs (fitness trackers, diet apps, etc.). Instead of having to manually type the details of each meal taken and every activity/workout session, a person will be able to simply ‘tell’ his/her smartphone to record the information within the concerned application. Time-constraints will cease to be an excuse for the non-regular updation and usage of such apps. Yes, Apple has upped the smartphone screen standards with iPhone 6, and Android has its own slew of ‘large-screen’ phones (from various manufacturers). However, the fact remains that keyboard size is small, the clickable items are smaller, and it can be a real pain to correctly type out something quickly. The issue become more complicated when a user multitasks – say, tries to compose an email, write a text message, and search for something on the mobile web simultaneously. With voice-enabled applications, the need to use keyboards will go down, and multitasking on a smartphone (for the latest handsets, multitasking is one of the biggest features) will become that much easier. Note: The technology is not quite there yet, for making mobile multitasking easier for users with disabilities. In the foreseeable future though, there might be breakthroughs in this regard. Voice-enabled apps – or mobile voice technology in general – cannot survive on its own. For the technology to be of any practical use, due emphasis has to be placed on implementing efficient Natural Language Understanding/Processing (NLU/NLP) – a key cog in making voice recognition on smartphones more advanced. Apart from speech recognition software, the spotlight will also be on devices with accurate and user-friendly text-to-speech (TTS) and speech-to-text (STT) speech synthesizer services. With these, smooth and mutually understandable two-way communication (between the random Joe and his smartphone) will be facilitated. One of the biggest advantages of voice enabled chat apps or social media applications. Instead of engaging your hands to type on a chat app (or for posting a FB update) – voice-enabled technology will allow you to just ‘converse’ with your phone for the same purposes. In note-taking apps, typing out entire paras is already possible, while people have already started writing full-blown articles and blog posts (both on mobiles as well as on PCs) with hands-free speech recognition technology. Admittedly, writing with voice technology does lead to a fair number of typos – but expect such rough edges to be ironed out soon enough. Note: The recent improvements in Siri have made iPhones much better, more intelligent ‘listeners’ to users. If anything, the built-in speech recognition tools in Android phones are even more user-friendly. There are two different models for speech deployment in mobile applications – and both are expected to be heavily used by app developers in the forthcoming quarters. First up, there is the ‘embedded voice tech model’, where the complete voice recognition process happens within the smartphone (i.e., locally). The other is the ‘cloud-driven voice tech model’. To use this technique, apps need strong internet-connectivity at all times…since the speech-to-text transcription (and the reverse) happens on the cloud. The second is the more common deployment model at present, but embedded technologies are also on the fast track of growth. And that would, hopefully, minimize the chances of punctuation errors, typos and other such irritating factors. Mobile digital assistants like Siri and Google Now already provide a high degree of context awareness – making it easy for users to ‘speak’ to their phones without worrying too much about spelling mistakes and grammatical errors. For instance, even if the digital assistant listens to something like ‘Text Ralphet 6 pm’, when you have set a reminder for ‘Text Ralph at 6 pm’ – it will be ‘intelligent’ enough to understand that only the latter command makes sense, and would make the corrections accordingly. People searching for the ‘next Knicks game’ can follow up with a query like ‘What’s their points tally?’. Voice technology is smart enough to ‘know’ that over here, ‘their’ refers to the ‘Knicks’. A contextual voice interface will add an extra layer of user-friendliness to mobile apps. Note: Understanding and distinguishing between homonyms (say, ‘pole’ as in North Pole, and ‘pole’ as in ‘pole vault’) remains a challenge for voice-enabled apps. Once again, as the technology becomes more sophisticated, this will gradually cease to be an issue. A missing link in the usage of speech recognition technology has been its absence (to be fair, inadequate presence) on smart wearables. Going forward, as Apple Watch and Pebble smartwatches and Samsung Gear (maybe Google Glass too, with a strong comeback) become more commonplace – there will be a high demand with custom voice-enabled applications for these devices. A smartwatch, for instance, has very little screen space – and having to actually tap on it can seriously mess up the overall user-experience design (UX) on it. With voice technology, people will be able to interact with their wearable devices at any time, without obscuring their display screens in any way. Note: The onus will be on developers to come up with such apps for smartwatches, that blend in gesture commands with voice commands. There are many apps that store sensitive personal information (e.g., any personal finance application or mobile budget tracker). These need an additional level of security, and voice biometrics – an integral feature of voice technology on mobile phones – delivers just that. For enterprise apps too, the use of voice biometrics is on a definite upward trend. The percentage of apps that store user-data on the cloud (with the help of backend-as-a-service (BaaS)) is increasing swiftly, and biometrics is an effective tool to rule out possibilities of unauthorized access. Many software and mobile app developers make the mistake of trying to incorporate speech recognition in their applications in one go. Instead, they should start off with identifying the core features of a new app (and the likely behaviour-flow of users on it), and voice-enable that portion of the application first. The rest of the app can be voice-enabled later, in an iterative manner (say, in a later update). In a fairly large app, if everything is voice-based from the outset – a large section of target users might become confused. Note: For most apps, speech recognition currently works optimally only when the supported vocabulary is somewhat limited. This constraint should also go away with time, as mobile voice technology makes more progress. Over the next five years or so, voice technology and Internet of Things (IoT) will become increasingly intertwined with each other. The experience of using seamless voice-enabled mobile apps will give rise to expectations of operating on a similar autonomous interface, within automobiles. In ‘smart cars’, most functions – right from changing music tracks and surrounding temperature, to door and window opening/closure – will be done with the help of voice commands to the dashboard. Car APIs will also make apps for smart cars more usable than ever. Voice technology will totally revolutionize the concept of what a ‘connected home’ can do too, in the next few years. Forget switching off/on lights and thermostats with voice, you might be able to order food or a warm bubble bath, simply by giving out voice instructions. Now that will be something, right? In order to ensure that implementation of voice technology does not put additional pressure on device resources (battery drain, for instance), many developers prefer the cloud deployment model. In essence, this means that voice commands to an app are transferred to the backend server for the speech-to-text conversion. The responses are generated and displayed to users after that. The entire process takes some time (in seconds, obviously) – and that introduces a lag between a voice command and a response. Network latency is a big factor in determining the extent of this lag, while the quality of the phone mic and the strength of data/wifi connectivity also make a difference. In future, typing and performing other regular tasks on cloud-based voice-enabled apps will become a more ‘real-time’ process. Lags will continue to grow shorter, as network capabilities become more powerful. Voice-enabled smartphone applications will typically be reliant on advanced ‘artificial intelligence’ – to deliver the optimal results to users. With pre-designed algorithm sets, futuristic applications will take machine learning to an altogether higher level. Apart from ensuring greater accuracy during voice-typing and greater reliability of speech recognition, A.I. will also drive up effective two-way conversational interaction with apps, by brushing up ‘contextual thinking’ capabilities of mobile software. For practically every element in the Internet of Things, voice technology adoption is growing – and proliferation of artificial intelligence has got a lot to do with that. Note: Virtual and augmented reality are also likely to become core elements in select voice-enabled mobile apps. Already, new-age smart devices like music players and TVs, lights and smart helmets are available in the market – and most of them will be controllable by voice within the next 3-4 years. Voice technology has come a long way since the days of Nuance’s ‘Dragon Naturally Speaking’ (DNS). There have been major improvements in Siri – the smart digital assistant for iPhones – this year (Apple had introduced the ‘Hey Siri’ feature in iOS 9). Siri already supports 20-odd languages, and the number is expected to grow higher in future. Android’s ‘Google Now’ is, if anything, a more high-utility voice-based mobile digital assistant – with its ‘OK Google’ feature (it also supports Google Maps now) being regularly used by people across the world. On Windows Phone, there is the ‘Microsoft Cortana’ tool. Each of the 3 digital assistants are becoming more sophisticated over time, making it easier for voice-supported apps to expand their functionalities with them. The integration of voice technology in mobile apps is closely related to the presence (and performance) of high end sensors on mobile devices. While speech recognition is indeed a relatively ‘new’ technology – a fairly large cross-section of older users are using it for typing and other form of app interactions. Right from launching an app, to navigating through it – mobile voice technology makes everything hands-free, and hence, more convenient. By 2017, voice recognition will be a buzzing $133 billion industry, with a CAGR in excess of 20%. Use in mobile devices and software applications has propelled the growth of this technology in a big way. In the coming years, speech recognition has all the potential to completely change the way we interact with our phones. Maybe, just maybe, typing on keyboards is on its way out? openHAB: What Advantages Does This Home Automation Platform Offer? 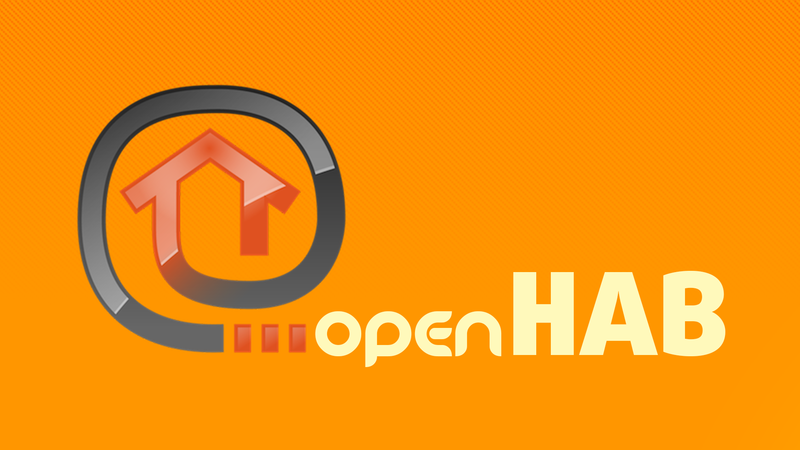 openHAB – originally a brainchild of Kai Kreuzer – comes with all the advantages of an open-source software tool. Experts from the field of home automation and related app development can easily share their knowledge on the platform – adding to its overall repository resources. Since the openHAB tool is developed with pure Java (along with OSGi), it can be deployed on any Windows, Linux or Mac system with a Java Virtual Machine (JVM). The platform offers a unified interface to users, and extends home automation logic across system/hardware boundaries. Note: Version 1.8.3 of openHAB was released in May. The fourth beta of v.2.0.0 is also available. If you are looking to simultaneously automate a large number of home devices, openHAB is likely to be the most ideal tool for that. Right from Nest thermostats and smart HVAC systems, to security systems and Insteon hubs – openHAB is integrable on practically all types of home automation protocols and hubs. All that users need to do is create the necessary application integrations, and the platform will take over from there – ensuring that each ‘event’ triggers another one. This is one tool that really helps households get the best out of their home automation setups. Arguably, the single biggest advantage of openHAB is its vendor-agnostic and hardware-agnostic nature. This ensures that that the tool’s functionality is not limited to a single, pre-specified use case, or by device manufacturers (since the home automation market is deeply fragmented, this unification is a big advantage). Unlike most other commercial integration systems, openHAB ranks high on the longevity count – and maintenance is fairly simple too. Since the performance of openHAB is not affected by hardware-specific issues in any way, it can be used with all types of home Internet of Things (IoT) devices. As the global home automation market grows mature and smart appliances become more sophisticated – the need of the hour is for an integration platform that evolves over time as well. openHAB fits the bill in this regard perfectly. The platform is regularly updated, ensuring that all the latest innovations from this domain can be integrated in it. The buzzing, fast-growing community of openHAB is yet another of the tool’s high points. The tool does away with the overdependence on a single commercial automation system or company – minimizing chances of problems later on. Note: Since openHAB does not rely on a single form of home ecosystem, it can deliver more customized solutions to users. The cutting-edge pluggable architecture of openHAB makes it simpler than ever to integrate new protocols and smart home devices on it. The persistence layer of the platform – which maintains the ‘states’ of devices – is also included in this pluggability. That, in turn, ensures that the selected state information (based on the platform chosen) does not get modified/lost whenever new IoT elements are added. openHAB builds on the existing home systems, instead of trying to replace them altogether. Professionals often refer to the platform as a ‘system of systems’. There are separate, optimized bindings in openHAB for home automation hardware, dedicated bus systems, and even UI protocols. The Bluetooth binding of openHAB is also worth a special mention. In the main event bus of openHAB, these bindings interact to send/receive device status updates, commands and other pertinent information. openHAB also boasts of an ‘Astro binding’ for operating smart lighting systems in the most efficient manner. Note: The modular design of openHAB allows developers to tweak around with its features at any time, without any hitch. It is also a factor behind the rapidly rising community support for the tool. openHAB is available as a native application on the iOS platform (iOS 7 and later). The Android UI – named ‘HABDroid’ – is downloadable from the Google Play Store (Android 4.0.3 and later). For webkit-powered browsers, there are two custom UI versions of the platform – GreenT and ClassicUI. The former functions as a feature-rich web application created with the cross-platform Sencha 2.0 framework – with support being extended to PC browsers (including Chrome and Safari), along with mobile phones and tablets. ClassicUI, on the other hand, is a first-gen UI designed with the HTML/JS WebApp.net framework. Apart from iOS, Android and WebKit browsers, it also supports Blackberry and Symbian platforms. Note: CometVisu is the name of the web visualization backend interface for openHAB. The built-in XML configuration files outline the layout of this UI (no sitemap dependence). CometVisu has enhanced customization options too. One of the common features of IoT devices is their dependence on cloud-connectivity for performance. With openHAB though, that is no longer a limiting factor. Homeowners have the final say for deciding whether the data generated by smart sensors and actuators would be uploaded to the cloud or not. In case a user prefers to keep the information private and operate openHAB offline, (s)he can do so without any problems whatsoever. Remote access, if not required, can be disabled as well. While working without web connectivity, openHAB works as a highly secure ‘Intranet of Things’, without losing any of its features. A clean, systematically designed architecture/rule system powers the openHAB smart home automation platform. At it core is the ‘openHAB Runtime’ – a Java-OSGi bundle set that is deployed on the server and is responsible for all the key functions of openHAB. The runtime lends the modular form to the platform – ensuring smooth addition or deletion of functionalities. The ‘openHAB Designer’ is the other element of the openHAB project. Created as a Rich Client Platform (RCP) in Eclipse, the Designer configures the Runtime, manages automatic action rules, and defines the user-interfaces. The built-in editor of ‘openHAB designer’ has a host of user-friendly features – from auto completion and content assistance, to text highlighting and syntax checking. Note: openHAB has a specific rules engine to setup the home automation ecosystem. Real-time information from sensors can be viewed on the website running on the user’s Pi web server. In the previous point, we briefly mentioned the ‘openHAB Runtime’ that performs all the key functions of the tool. Let us now turn our attention to the bundles contained within the Runtime (these bundles are interdependent on each other). First, there is the ‘Event Bus’ – which includes both ‘status updates’ (alteration in devices) as well as ‘commands’ (which set in motion certain actions/device state changes). For internal communications within the platform, there are 2 options – the query-supporting stateful repository and the asynchronous ‘event bus’. Next up is the ‘Sitemap’, that spells out the common text configuration of the overall UI – taking away the need to configure separately for different UIs. Widgets are arranged in a tree-like structure. For keeping a tab on the status of different smart home devices at any point in time, the ‘Repository’ is used (stateless services cannot reliably do this task). Finally, there are the ‘Item UI Providers’, that allow home automation software developers to set up the generic UI of openHAB dynamically. This is a more efficient solution than the static storage of everything within the ‘Sitemap’. openHAB works on the back of a powerful rule engine – which, in turn, is supported by the Scripts framework. The latter introduces code reusability in the platform, which comes in really handy for developers when they have to repeat the same code lines in separate openHAB ‘rules’. A ‘script’ contains the part of the code that has to be reused – and it can be implemented at any point of the overall automation logic. Note: Several embedded platforms support the openHAB tool, including Cubietruck, Raspberry Pi and UDOO. Wish to deactivate the ‘night mode’ when you get up? Want to turn lights on/off at any particular time everyday? How about receiving notifications/messages whenever the main door opens? Well, openHAB does all of these and many, many more important, high-utility, everyday functions. Toggling your ‘Presence’ (when you leave your home premises, for example), skylight operations (e.g., automatic closure during rainfall) and calendar event execution also feature among the common actions performed by the openHAB platform. Installing it on the server is easy enough too. It can be operated through any OS with Java 1.7 (and JVM), demo plugins are available, and detailed instructions – for each platform – is also provided. openHAB has an open interface via which it can interact with other systems (i.e., collaborate with other systems for better home automation solutions). RESTful APIs are available from the platform itself to facilitate this third-party integration. For cloud connectivity, the my.openHAB web-based remote access service is used. Note: HABDroid – the Android UI of openHAB – has voice control features and near-field communication (NFC) support. openHAB makes it possible for you to enjoy custom home automation solutions, by serving as an optimized interaction platform for different smart devices. It is easily one of the most comprehensive open-source hubs for home automation at present – and the various awards it has received over the years (2013 IoT Challenge Award, 2014-15 PostScapes IoT Awards) testify its quality. This is one tool that brings a vast range of home automation operations and controls…right at your fingertips! In 2016 Q3, around 363 million smartphones were shipped globally, according to an International Data Corporation report. There is a pretty apparent trend among households in developed countries to establish a ‘smart ecosystem’ overall – one in which they will be able to control common home appliances – lights and television and thermostats – with their smartphones. And that, in turn, explains the growing popularity of home automation applications. Downloads of this category of apps have been steadily rising over the last couple of years or so. Gartner has predicted that 1 out of every 4 households will use mobile digital assistants like Siri, Cortana or Google Now to manage their ‘integrated homes’. There is, however, one significant roadblock in the path of home automation with mobile apps alone. Usually, for each ‘smart home appliance’, there is a different set of applications. The apps for different appliances differ from each other – since they are made and launched by separate vendors and/or have separate platform compatibility standards and technological requirements. All of this makes app-based home automation slightly complex – with a fairly large section of the global population (who CAN afford it) preferring to shy away from it. The next-generation of home automation (Home Automation 2.0, if you like) looks to address this issue – with the help of custom application program interfaces or APIs. These APIs serve as a technology and manufacturer-independent common platform – something like a dashboard – through which people can control their smart homes. Putting it in another way, home automation APIs add a uniformly integrated layer of functionality, which makes the task of managing home appliances easier than ever. The software tools have enabled people to move beyond network protocol barriers, and get all their smart devices interconnected. What Functions Do Home Automation Apps and APIs Perform? Practically all types of everyday, commonplace tasks…and then some more. From home entertainment and security, to lighting controls and other smart device management – apps have evolved enough to get into a myriad of home automation activities. A recent study found that, in the North American market, integrated and entertainment controls (with a 30%+ share) is the most common form of connected home functionality. It is followed lighting controls (26%), security controls (24%), HVAC controls (20%). Managed automation systems have emerged as the most popular, with interest in mainstream automation and luxury automation also increasing. The only type of home automation that seems to be losing out on user-interest is DIY automation. With open-source, fully extensible and vendor-neutral API connectors, the scope of smart home automation is likely to expand manifold over the foreseeable future. Temperature scheduling of thermostats, instant notifications of door openings, sensor-managed lights and voice commands for activating devices/appliances are all within the realms of possibility. The driving factor behind all of these would be a secure, robust Internet of Things (IoT) setup for the home. With apps and APIs coming to dominate the home automation scenario, security becomes a topic of immense importance. The escalating number of cyber threats and hacks is a harsh reality – and households, understandably, are on the lookout for automation systems that do not compromise personal or professional information (when we are talking about workplace automation) in any way. This preference is giving rise to yet another form of IoT for homes – this time, it is not the ‘Internet of Things’, but the ‘Intranet of Things’. Leading home automation solution providers (e.g., openHAB) give users the final control on whether remote access of home is allowed or not. Homeowners can also decide on the amount and nature of personal data that would be exposed to the cloud. In case a person opts to keep everything in a ‘closed’ automation ecosystem, (s)he can very well do so – and that would be the precise definition of a ‘smart intranet for home’. Lack of integration of home automation apps used to be a significant inhibitor in the growth of the consumer segment of this market. While APIs have considerably eased out that pain, other issues still remain. In the United States – easily the market with the highest smart home technology adoption – around 70% of households are not sure about the availability of smart home systems (i.e., from where they should purchase). The price barrier is also an important factor. According to a Harris Poll-Nielsen report, nearly 90% of respondents stated that home automation was ‘expensive’. As apps and APIs for smart home management becomes more mainstream, the costs should gradually come down. Other factors standing in the way of smart homes include the general complexity of the existing systems. On top of that is the general (and understandable) unwillingness of users to handle separate proprietary applications for each appliance. APIs, thankfully, tackle this problem in an effective manner – by establishing a common platform for interaction of smart devices, technology solution providers (i.e., the home app developers) and third-party data sources. As API-usage grows, Home Automation 2.0 will thrive. NXP offers a software development kit (SDK) based on Apple’s HomeKit framework. The importance of such SDKs for custom API development for homes is immense. Mobile app developers typically use these resources to come up with user-friendly applications that can integrate and manage a large number of home appliances and devices. The devices can also be made to interact effectively. For example, the brightness of a room’s light can depend on (and adjusted by) the home theater system present there. Another interesting trend is the move towards open-source home automation systems with strong community support. With reliability being a persistent point of concern, it is certainly advisable for households to avoid depending on the services of a single company, and opt for a system that has a robust community. That adds an extra layer of reliability, and also makes troubleshooting (as and when required) easier. How Do APIs For Home Automation Work? A unified, integrated platform for home automation can very well be referred to a ‘system of systems’ – since its main purpose is to enhance and automate the functionalities of smart devices (and not replace them, in any way). Following a simplistic explanation, APIs help developers to code home automation standards on the cloud – which can be called the ‘Smart Home Cloud Platform’. Push notification systems are created, and the same are triggered to the smartphones of users – corresponding to specific home activities (e.g., the door opening). The use of APIs for home automation holds out advantages for the customers as well as corporate houses. The former receives an integrated, all-encompassing platform for managing their smart homes, while companies get new business opportunities. To cite an example, a weather company can supply insights on the basis of the information generated by a smart thermostat. The evolution of smart devices over the last half a decade has been pretty much amazing. Even so, these hardware components have traditionally struggled to keep up with the pace of software development for home automation. As such, there is still a mismatch – and an unwanted rigidity, when it comes to the deployment of a ‘smart activity’. There is no way to, say, change the rate at which water is being warmed – or the lights to become more energy-saving – or the home security system ‘understanding’ the reason behind the arrival of the homeowner (a quick visit to pick up something is different from a return from work, for example). The settings of smart home tech can, of course, be changed…but that involves manual overriding. Artificial intelligence (AI) has a long way to go in this context. SmartThings – Free iOS application; Serves as a smart remote control. Revolv – Free home automation app (iOS/Android); Offers brand and protocol-independent device control. Nest – Smart thermostat controller for iOS/Android; Adjusts temperature through smartphone. Savant – iOS app to manage home security, entertainment, temperature and lighting; Works with Savant home automation system. ADT Pulse – Home security app for iOS/Android; Used to arm/disarm alarm systems. Loxone – Manages home media, heating, lights and smart alarms; another free app. QuickSwitch for WeMo – Paid app ($1.99); Operates as a switch for Belkin’s WeMo device; can turn any pluggable appliance into a smart object. HomeRemote, DirecTV and CtrlHome are some other highly-rated home automation apps. Pimatic Websocket – Utilizes the socket.io protocol (and plugins) to operate supported smart hardware. QuickSet – Uses infrared/IP/HDMI portals to find and manipulate appliances. BeagleSense – Smart wireless sensors to monitor air pressure, humidity, noise and air quality. Myfox – Facilitates integration and development of smart security and surveillance devices. Sensorist – Provides mobile app developers with data from compatible environmental sensors. Indigo Domotics – Integrates home automation methods (control/management) in applications. Okidokeys – Lets people lock/unlock doors through a specific mobile app. Wink App, Dog Gateway, Lelylan, and of course, Apple HomeKit also feature among the top home automation APIs listed on Programmable Web. With the home automation industry on the upswing, and custom apps and APIs supporting it – smart homes are no longer things that we only come across in big-budget sci-fi flicks. The scopes are endless in integrated, programmable homes. The onus is now on app developers and API providers to create easily implementable solutions that truly takehome automation to the next level. In terms of connectivity, smart cars can be powered by the 2G, 3G and 4G/LTE technologies. While 2G was the most common a couple of years, 4G/LTE will be prevalent in most sophisticated connected cars by 2020 – thanks to the continuous improvement in the speeds and reliability of telecom networks. Integrated connectivity solutions are also growing increasingly popular for establishing IoT for cars – as embedded connectivity takes a backseat. Within the next 5 years or so, approximately 45% of all vehicles across the world will have integrated connectivity. Note: Apart from embedded and integrated connectivity, tethered connectivity is also frequently deployed in smart cars. Europe, rather expectedly, is the biggest market for IoT for cars. The total number of units of connected cars in the US is expected to go beyond 70 million in 2020. More interestingly though, it is the Asia Pacific that is the fastest growing geographical region for connected cars – with an average compounded annual growth rate (CAGR) of 32.6%. The US and Latin American markets are also rapidly expanding. Globally, connected cars will be a $46.7 billion industry by the end of this decade. For the 2014-2020 period, the CAGR for this industry has been projected to be 10.8%. As the focus shifts squarely on electric cars, and vehicles like robo-taxis and long-distance automobiles become more and more commonplace – the range of services available in car will also expand. At present, the services made available through IoT can be classified under three major heads: firstly, there are supply-side services, like infotainment tools, driver assistance setups, fast cloud-connectivity, and streamlined human-machine interfaces (HMIs). Next up are the ‘smart mobility services’ (or the ‘consumer-side services’), which include social media inclusions, private entertainment, navigation tools, ride-sharing systems, and even ecommerce systems. Finally, there are the ‘connected car services’ – which are generally made available through dedicated mobile applications (and offered either as one-time purchases or subscriptions). These services include emergency support, automatic braking systems, collision prevention, and the like. Note: As IoT for automobiles grows further, the array of connected car services will expand. Buyers will be able to easily implement these services over the standard features of their vehicles – and the average level of car automation will increase. The growth potential of vehicular IoT is enormous – and this fact is not lost on leading OEMs (original equipment manufacturers) from the automobile sector. Last year, the 5 biggest OEMs contributed a whopping $46 billion+ towards research, innovation and development/deployment of technologies and tools related to connected cars. Feasibility, however still remains an issue – although the rising investments in ‘digital innovation for cars’ will buoy the growth rates of the connected car segment worldwide. Onboard diagnostic ports, or OBDs, became compulsory for cars in the United States and Canada in 1996. Cloud services can be implemented in all the 150 million-odd vehicles that have hit the roads in these two countries since that year. Mobile app developers have also started making car-specific applications – which use the OBD ports as their trigger points. In 2015, Verizon launched an aftermarket subscription package called ‘hum’ – which offers system diagnostics, collision notifications, and a host of other cloud-connected services, for $14.99. In future, availability of such tools will increase greatly. The market is, obviously, large enough to generate (and maintain) high demand levels. Smart car technologies have come a long way since the days of General Motor’s OnStar for Cadillac DeVille (launched in ‘96). At present, telematics control units (TCUs), head unit displays (HUDs) and human machine interfaces/dashboards (HMIs) make up the basic hardware setup for connected cars. The software, on the other hand, cover a lot of things – right from infotainment, handsfree calling and car performance notifications, to navigation & traffic routing, wireless hotspots, remote vehicle controls, and emergency assistance. With innovations being a key marker of IoT for automobiles, both hardware and software resources for connected cars will grow more sophisticated in future. Revenues from the connected car sector come primarily from three types of services – autonomous driving services, safety services, and pure connected services. The collective revenue from all the three sources stands at $45 billion at present – with industry experts expecting a jump to $53 billion in 2017, and $156 billion by 2020. Safety services will remain the most sought after add-ons in connected cars, closely followed autonomous driving services. The general ‘connected services’ (like navigation, entertainment and car management) will make up 28% of the revenue stream from IoT for vehicles. Note: The value of connected car services is already included in the list price of nearly 40% of the cars in which they are available. By 2017, 67% of the value of these packages will be reflected in the list price of vehicles. Certain factors have really fueled the proliferation of Internet of Things in the automobile industry. Apart from the fast-rising volume of smartphone sales and the growing number of car-related apps churned out by app developers worldwide, the constant expansions in fleet sizes, the booming market for global telematics and the new governmental regulations (in Europe and the US, for instance) have all helped to boost the demand for connected cars. Automobile production levels on a global scale has been stable lately, while the value chain has involved more collaboration. This has also made the inclusion of IoT services that much easier. Finally, and perhaps most importantly, the demand for more sophisticated in-car services by drivers/car owners is growing with every quarter. That has automatically boosted the supply-side. Wifi connectivity is a critical, but certainly not the only, element of enabling technologies that power smart cars. In 2017 and beyond, other tools and services, like Near Field Communication, Automotive Ethernet, in-car Bluetooth and integrated GNSS systems will all gain in popularity. The 5 enabling technologies will combine to make cloud-based car services more robust, efficient and reliable. In 5-7 years from now, riding a car as we know it might just totally get revolutionized. Apple’s CarPlay (iOS 7 and later; launched in 2014; version 10.0 was released in September this year) is easily the most talked about smart car platform at present. In a January 2016 report, the Cupertino company stated that well over well over 100 car models already use, or are likely to start using the CarPlay standard (including the Chevrolet Cruze, Hyundai Sonata, Audi Q7 and Ford Escape). Android Auto – another popular connected car platform (projection standard) – entered the field a year later than CarPlay, supporting Android 5.0 Lollipop and later versions of the OS. Windows Embedded Automotive, QnX and MirrorLink are other infotainment platforms for smart cars that are rapidly growing popular. Note: Android Auto is, arguably, the platform with the most, and best, features. It, along with Apple CarPlay, work towards bringing smartphone functionality (read: app functionality) closer to vehicular operations. Why are the OEMs investing in a big way on connected car technology? That’s right – to earn revenues and handsome profits. To generate value from the services, a viable monetization model has to be followed. Tesla and Mercedes-Benz have shown a way – with cloud services being included in the cars from the outset. The data on customer services can be collected and collated to form a business model with optimized monetization (revenue-sharing is likely to be an integral part of such models). Real-time tracking of connected car information can also show improvements in quality, performance and in-car efficiency – and monetization can be11. done on the basis of that. For multi-modal transportation, customer database can be created and maintained, for monetization later on. The demand is there and the supply capacity is also there – combining to lift up the adoption of connected services in vehicles worldwide. However, there are certain inhibitors as well, that hold back (or at least, slow down) the growth of this market somewhat. Prime among this is the rising apprehensions over information security and privacy (the growth of IoT in general has increased cyber security threats, as an unfortunate side effect). The relatively complicated nature of most connected car tools is another important factor. Things are still in an experimental stage – and hence, there remains the problem of certain platforms not being compatible with the available connectivity solutions. Cost optimization considerations might also make a section of buyers stay away from the smart car technology, hurting adoption figu res. Over the next few years, most of these inhibiting factors (with the probable exclusion of cyber security) will become less significant – and the connected car market should start to grow at an even faster rate. 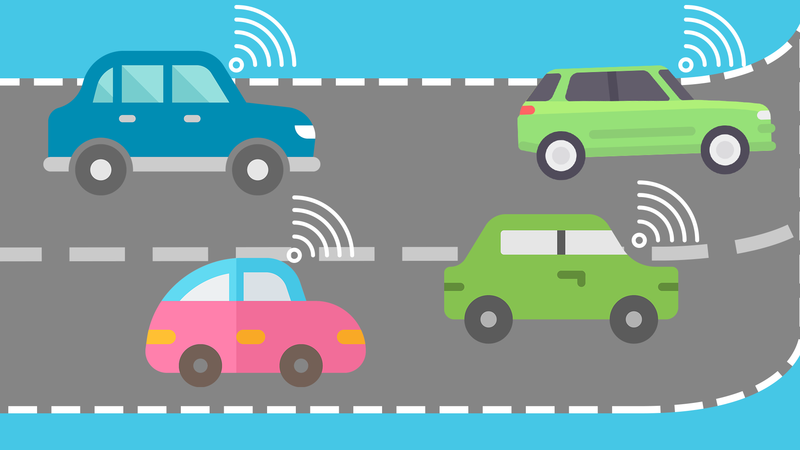 Machine-to-machine (M2M) – or more accurately, vehicle-to-vehicle (V2V) communication will become an integral feature of connected cars by 2020. With navigation and speed information being broadcasted across cars, the chances of accidents should go down significantly. What’s more, notifications can be generated to intimate people about approaching cars. Timely V2V warnings can make driving a lot safer. Note: For the futuristic vehicle-to-vehicle communication to actually materialize, newer, smarter car models will be required. These will mostly come bundled with select connected services. As awareness and adoption about connected car grows and more innovations take place in this domain, revenue figures will grow. However, a closer inspection will reveal interesting shifts in the chief sources of earnings. In the next half a decade or so, car software, cloud-based services and electronics will become the major earners for suppliers, in place of parts in the car body (chassis, engine, etc.). The profit figures of automakers will grow flatter, as automotive afterservices take centrestage in an IoT-dominated vehicular ecosystem. Finally, the share of emerging markets (e.g., China) in the overall revenue stream from connected cars will increase – with European and North American countries moving towards saturation. Cars that fall in the premium range (both in terms of prices as well as quality) are the biggest users of automobile IoT systems. This scenario will continue at least till the next year. Industry professionals have predicted that 64.6% of the total revenue from connected cars will come from these high-end vehicles, in 2017. With an eye on greater adoption, things are likely to change over the next five years or so, however. By 2022, premium cars will contribute less than 50% of overall revenues, and the share of cheaper, volume-based cars will be higher. Note: Nearly 75% of smart car service packages will be provided with the smaller volume cars, by the end of 2022. From Ford to General Motors, and from BMW to Mercedes – the biggest names from the automobile market are already in the IoT ecosystem. From the technology supply side, there are companies like Delphi, Sierra Wireless, NXP and AT&T, apart from Apple and Google. More auto companies as well as software/hardware firms are likely to join the bandwagon – as in-car infotainment and other services reach the next level. By 2020, 3 out of every 4 new cars, and nearly 23% of ALL cars, will have connected services. Looking a bit further forward, the autonomous car market (i.e., driverless cars) will reach the $43 billion mark in 2025. Both Apple and Google are working on driverless car models – with the Apple Car reportedly eyeing a 2019 launch. The average price of a ‘connected car’ is on the higher side (~ $55000), but that is expected to slowly go down – as the services become more common in cheaper vehicles. It will be fascinating to track how IoT for the automobile industry actually shapes up over the next few years. One thing is for sure though…car rides are all set to become a whole lot smarter! Critical to the optimal UX for an app is a short and sweet splash screen. Whenever an app is fired up on a device – it takes some time to load (as all the features of the app get ready to be used). The splash screen is displayed during this period. Instead of having a simple static image as the splash screen, it is a better idea to include a progress indicator (and maybe, a simple animation) to keep users hooked. More importantly, the splash screen should not remain visible for more than 8-10 seconds, at most. Users should never feel that ‘nothing is happening’ after they tap on an app’s icon. The app should be ready for use soon – and a good splash screen should be displayed in the interim. Note: Ideally, developers should follow a rule of thumb like ‘90% of users should be able to use an app within 10 seconds of launching it’. Device-related problems, poor network connectivity (for cloud-based apps) and other individual issues might affect the other 10%. Every element of an app’s UX should contribute towards the overall purpose of the application. A good mobile application should deliver the promised value proposition (as presented by its owner/developer) to users – and it should do so promptly. That, and only that, determines whether the application will be perceived as ‘useful’ or not. Unless an application serves a specific purpose (and that includes games to while away spare times), its usage figures are likely to decline steadily over time. Ease of usage is one of the most important things that have to be looked into, during the usability testing of a mobile app. The average, non-geeky user should have no problems whatsoever while installing the app, learning its core features and functionalities, and using it as and when (s)he wants to. To ensure this, developers typically get new applications tested by people who are coming across the design/interface for the first time. That way, unbiased feedback on the onboarding process of the application can be obtained – and its makers can make modifications, if required. The KISS principle would be a good one to follow while designing smartphone applications. Remember, if you make things overly complicated in an app – no one is going to bother spending minutes and hours to learn how it works. There are two major considerations regarding this. First, there are no ways to predict the screen size of the device on which a particular user plans to use an application (it can be a phone, or a phablet, or a tablet). This uncertainty can be successfully countered by designing separate, optimized versions of the app for different devices. Also, a recent study found that nearly 91% people start an app-related task on one device, and complete it on another. It has to be ensured that users are able to sign in, and get access to, the app from all compatible devices – at any time. An app might seemingly be fairly user-friendly. That, however, is not enough for its developers – who also need to check whether the app can be used with similar ease even by person with a) disabilities, or b) other distractions. Use easy-to-read labels on all buttons, tabs and other clickable items, create a nice color contrast background (a blurry background works well for many apps), and avoid using the outdated Flash tool for pulling text content/images/videos from backend servers. Make sure that there are no instances of sudden timeouts, and check the orientation support of the app (i.e., whether it can be used in both the ‘portrait mode’ and the ‘landscape mode’) as well. Users who are willing to give your app a chance should be able to do so without a hitch. Note: The prime purpose of app marketing is to make applications more easily ‘discoverable’. Accessibility/usability becomes more and more important as the reach of an app expands. A few negative reviews and low ratings – and the download figures can drop dramatically. At the risk of repetition – let’s just spell it out again: there is no bigger consideration while building a mobile app than the end-user experience it will be able to deliver. In-app navigation is an extremely vital component of this. Many experts from the field of app development opine that, users should be able to reach the screen that they are interested in, by tapping their devices not more than 3 times (the ‘3-tap’ rule of mobile apps). In general too, the menus and tabs of an app should be neatly organized, broken links (if any) have to be fished out and fixed, and there should not be confusions on what might be the result of tapping on any particular section of the app screens. Smooth navigation and UI invariably helps in boosting overall user-engagement levels. The importance and, as a result, the popularity of speech technology is increasing every quarter. As per a Forrester survey, almost 40% smartphone owners use voice recognition for navigation, while 47% people use it for looking up anything on the mobile web (instead of typing on the available keyboard(s)). While not possible or necessary for all applications, there are plenty of apps that are crying out loud (no pun intended) for the integration of seamless speech technology in them. People should be able to use these apps without even having to touch their devices. A classic instance of this can be the mobile storytelling apps for kids that have automated ‘voice-narration’ options. App makers have to be extra careful while implementing voice recognition in the UX of an app. Note: Nuance is a leading speech recognition technology provider. Its solutions power both the iOS and the Android versions of the Ask.com app. Trying to explain the entire UX to the client (or users, for that matter) in words is an arduous – and often impossible – factor. Things might not go exactly as planned, and these changes cannot be incorporated in a static plan of action. That, in turn, brings to light the importance of using wireframes and prototypes. By creating a prototype of the app and adding the basic features to it, developers can easily convey the essence of the app’s UX to both the clients as well as groups of final testers. Moving on to a Minimum Viable Product (MVP) from the prototype is easy, and it reduces the ‘time-to-market’ span as well. Designing a mobile game presents an entirely different challenge for professional app developers. The onus is on the latter to decide the way in which a game will be set up, whether it would have multiplayer features or not, what should be the default background colours/themes and the audio effects, and other such important elements. Complete familiarity and (preferably) experience of working with popular game engines like Unity 2D/3D and Unreal Engine comes in extremely handy in this regard. The controls have to be simple and user-friendly – and for level-based games, the difficulty should be revved up gradually. In general too, a mobile game should never be: a) so easy that it is simply not worth downloading, or b) so difficult that it ends up frustrating the majority of users. People should be able to save their progress on games with ease too. Keep in mind that most people play games on their phones only during their spare time – and for relatively short periods. Design accordingly. Note: Many users prefer using one hand to play mobile games. Make sure that your game can actually be played in this manner. iOS simulators and Android emulators are all very handy – but it would be a mistake to rely entirely on automated mobile app testing. Any app development team worth its salt will make it a point to test their applications on actual devices – the ones that they are supposed to be compatible with. Doing this is fairly straightforward for iOS applications, since apps have to be checked on iPhones, iPads, maybe the latest iPod Touch and, in certain cases, Apple Watch and Apple TV. Android, with its traditionally fragmented OS updates and huge number of vendors, presents an altogether different challenge. App companies typically have the latest iOS devices and the top-of-the-line Android devices (Samsung, HTC, Nexus, etc.) for in-house testing purposes. Developers can – and should – volunteer their own devices for testing too. Careful manual testing – on top of automated testing – goes a long way towards ensuring that an app would retain its visual features and core functions on all devices. For free apps, third-party advertisements are a common monetization tool. At times though, these ads can royally mess up the UX of an application – blocking a section of the actual interaction area (for games, the ‘gameplay area’), using colors and fonts that are way too distracting, and at times being completely inappropriate too (particularly on kids’ apps). Video ads that are too frequent are an absolute ‘no-no’ as well. In-app adverts have become a necessary evil – and developers have to include them in a manner that they remain noticeable without ever interrupting the app-usage flow. Note: Pop-up ads should never feature in an app’s UX scheme. Repeated reminders to rate the app at the Apple/Android store is also often a big distraction. Unless its Candy Crush or Subway Surfers, hardly any app is used everyday by users. 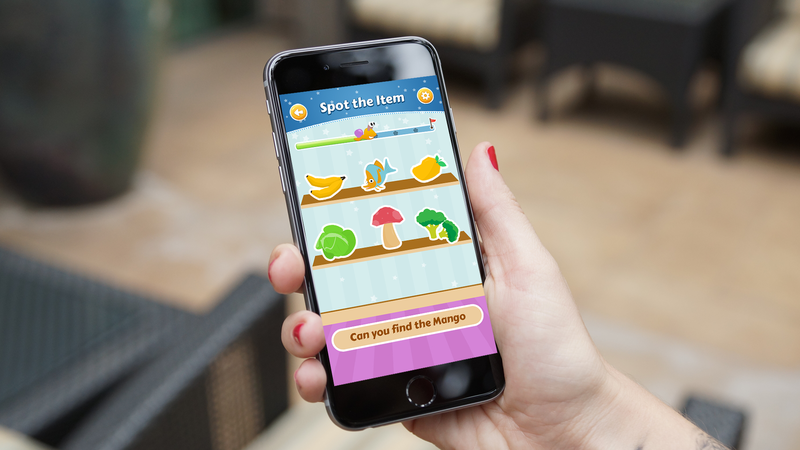 The features and controls of a new application should be such that, they can be remembered easily by the average users – without having to resort to the tutorials screen again. Make sure that a single, extended period of interaction with the UX builds a solid air of familiarity with it – so that users do not feel the need to learn everything from scratch the next time they open the app. The memorability factor assumes particular importance in cases where an application is used after a relatively long gap. Your app should be easy to grasp AND easy to remember. Basic tasks like creating an account, signing in, and uploading profile photo(s) should be made as simple as possible in a mobile app. An indication about the quality of User Experience Design of your app can be obtained by the number of ‘errors’ the average users make, while interacting with it. Social media integration should also be a part of the overall UX plan – to enhance usability as well as expand the app’s user-base. A highly optimized, user-friendly UX significantly enhances the chances of users being ‘satisfied’ with the app under scrutiny. Careful usability testing also minimizes the chances app failures due to bugs. The old adage ‘well begun is half done’ holds true for app development as well – and over here, the UX is the single biggest factor for getting your app off to a great start.